hey guys. i’m sorry for my lack of posting lately. i feel like i’ve had to take a step back and re-evaluate a few things. 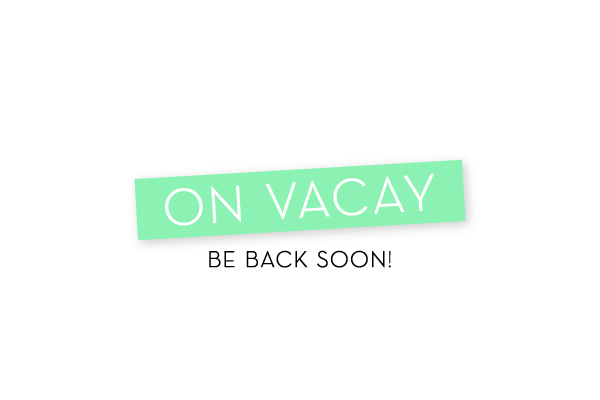 i’m taking off to florida tomorrow for the beach and sunshine, and i’m hoping a little break will be good so I can come back refreshed and figure what it is that i’m doing, ha! i hope you all have a lovely, long labor day weekend and I’m excited to come back and be around regularly again! Hope everything is ok! Sometimes it’s nice to just take a step back and refresh so when you come back you feel more motivated/energized/connected/whatever. 🙂 Enjoy the long weekend!